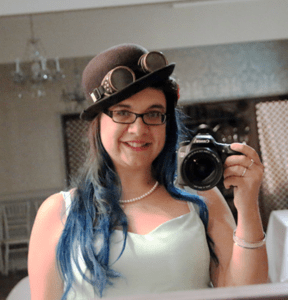 Biography: A professional photographer, mermaid & multipod, Carla’s driving forces are freedom, imagination, confidence building and body positivity. She lives & works on the Essex coast, which suits her mermaid heart. She’s been dreaming up businesses since the age of 8, running hers alongside a day job since 2011, blogging since 2004, and is very excited about helping other people to start their own business journey. As a photographer, Carla’s great love is small businesses & their owners (especially multipods). She helps them to shine with her documentary lifestyle photography showing them off at their very best. She also writes about being multipassionate and juggling different businesses & interests here. And also with camera in hand, she specialises in celebrating women at all stages of their life, through boudoir, pin up and lifestyle photography.